MOSCOW --- The Russian Defense Ministry will get the first serial Il-76MD-90A military transport plane next week, Russian aircraft manufacturer and design bureau Ilyushin said on Thursday. "The first serial plane is fully ready. It is expected to be handed over next week," a company source told reporters. MOSCOW --- The Ulyanovsk-based Aviastar-SP enterprise (part of the transport aviation division within the United Aircraft Corporation) plans to deliver six Ilyushin Il-76MD-90A heavily upgraded military transport planes to Russia’s Defense Ministry in 2019, the Ilyushin Aircraft Company reported on its Instagram page on Friday. As Deputy Prime Minister Yuri Borisov said during his visit to the Aviastar-SP enterprise, three Il-76MD-90A military transport planes (also known as the Il-476) were to have been delivered to the Defense Ministry under the state procurement plan in 2018. The delay in the planes’ delivery amounted to three-four months. As the Aviastar-SP enterprise disrupted the timeframe of fulfilling the state defense program, the Russian government has set up a special commission to prevent disruptions in the planes’ delivery in the future, the vice-premier said. 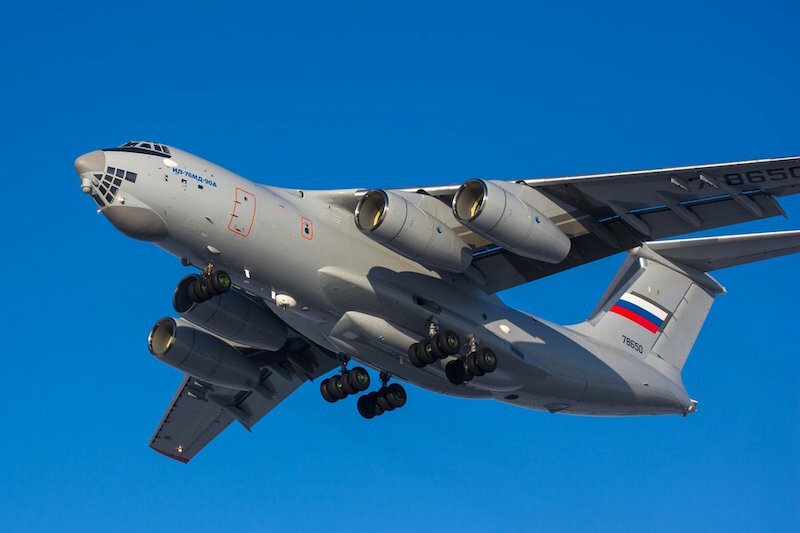 ULYANOVSK, Russia --- The Russian Defense Ministry plans to buy more than 100 Ilyushin Il-76MD-90A military transport aircraft before 2030, as well as air tankers developed on their basis, Deputy Prime Minister Yuri Borisov told journalists on Thursday. "This is the main aircraft in Defense Ministry’s plans. Potentially, the Defense Ministry plans to buy more than 100 aircraft, and this number grows if we add flying tankers produced on the basis of this plane," the deputy prime minister said. Russia’s Defense Ministry signed a contract in 2012 under which Aviastar-SP enterprise is to manufacture 39 Il-76MD-90A for the Russian Armed Forces. Il-76MD-90A is an upgraded Il-76 (Candid by NATO classification). A new navigational complex, automatic controls and communications increase flight safety and airdrop precision. The latest modification is distinguished by new equipment, including a glass cockpit, modern PS-90A-76 engines, a modified wing and reinforced chassis. Il-76MD-90A is used to develop Il-78M-90A air tanker.